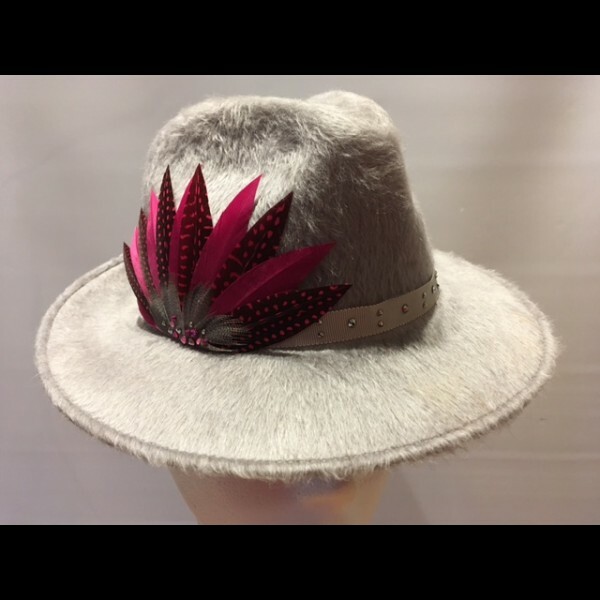 Stunning Trilby in soft silver grey with striking feather trim. 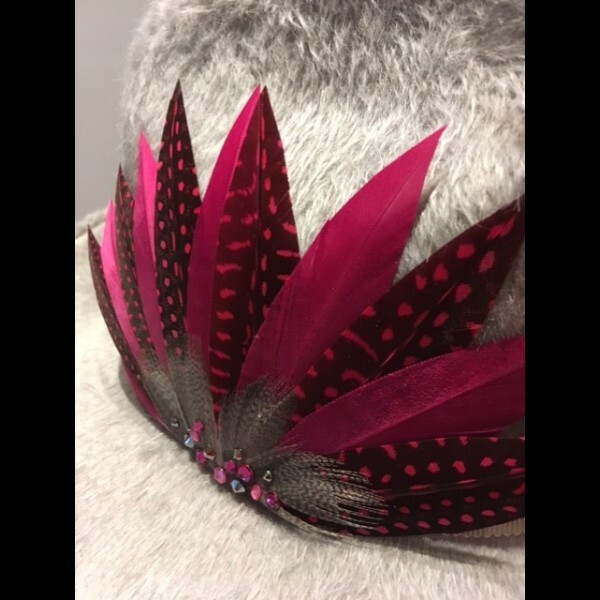 Made with a fur felt and finished with toning pheasant feathers. Eye catching hot pink feather trimming on the soft silver grey trilby. Perfect for those cool Autumn and Winter days. Fits the average size head - 22"/56cm. This is the purchase price (not available to hire).